Continental or Schwalbe: who makes the best road tyre? A few weeks ago I posted an in-depth review of the Continental GP4000s II after they appeared on a wicked 35% discount on Wiggle. Last weekend I posted an in-depth review of the Schwalbe Ultremo ZX … this time, it was Chain Reaction doing the honours with a tasty 33% discount. These two tyres are very much targeted at the same audience. As a long-term GP4000s rider and a more recent convert to the Ultremo ZX, I decided to put together this overview to help you decide which tyre is right for you. 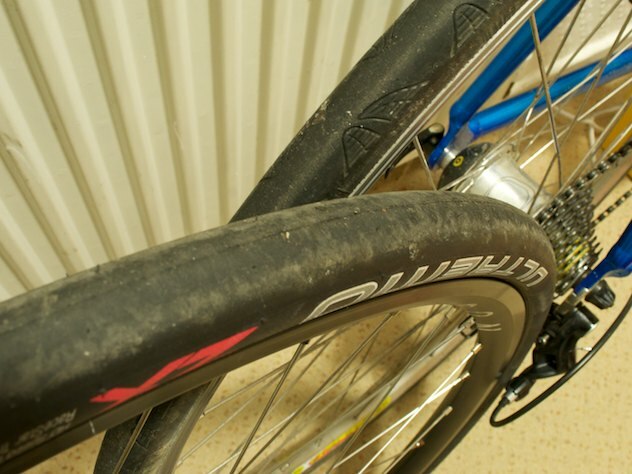 I can’t fairly compare these two tyres on comfort as I don’t have matching sizes to ride side-by-side at the same time. However, in my mind there’s absolutely no question that the Ultremo ZX wins in the comfort stakes. Measuring up slightly wide on a given rim (where the GP4000s measures slightly narrow) means the Ultremo simply holds more air than its Continental rival, and that translates directly to improved comfort on the bike. Don’t underrate this. For all but the shortest events, and especially at the amateur end of the spectrum, comfort translates directly into greater performance (only in cycling are people mad enough to question this). Combining width with tacky rubber gives the Ultremo wonderful handling over rough ground and into corners (regardless of whether or not Continental’s Black Chilli rubber is actually more tacky). Descending confidence on Ultremos is unparalleled in all weather. There’s no question here really: according to all sources the Continental GP4000s is significantly longer lasting than the Ultremo ZX, although estimates as to the lifespan of both tyres vary wildly online. I can’t be conclusive personally; though I’ve run through many sets of GP4000s tyres and get around 2500 miles on the rear, I’m still on my first set of Ultremos. They’re looking brand new and uncut after several hundred miles on rough roads, but until I wear them through to the carcass my own jury has to remain out. That said, I’ve got nothing to indicate that world+dog is wrong on this one. Let’s be completely honest here – the handful of grams separating the 205g GP4000s from the 195g Ultremo ZX won’t make an appreciable difference to you, regardless of the fact that it is rotating weight. 10g is just not a significant component of your power-to-weight ratio given that the mass of rider plus bike for the average reader of this site is probably going on for 100,000g (100kg). 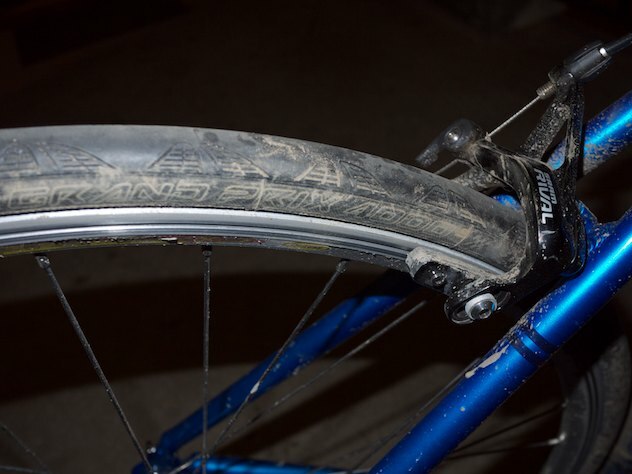 Both tyres are race models and not designed for riding over fields of glass or thorns. That said, the GP4000s features a Vectran fibre breaker layer which does an excellent job defending the tyre from unwanted penetration. The Ultremo ZX features a similarly advanced fibre layer (called “V-Guard”) and by all accounts this does a respectable job. I have not found any significant difference in cutting of the tread between these two models of tyre; my experience of the GP4000s is that it tends to be fine until a spate of punctures near its end of life – my Ultremos are still looking box-new after a few hundred miles. In contrast to general puncture protection, the GP4000s clearly edges ahead when it comes to the sidewalls. While I’ve even ridden on unsealed surfaces on the GP4000s I would be extremely hesitant about doing so with the Ultremo ZX! Schwalbe have made a conscious compromise here (you can buy the Ultremo DD if you want heavier sidewall protection at the expense of rolling resistance) and for me, it’s just something to be aware of. That said, many’s the tyre that has been consigned to the bin after sidewall damage when the tread still had months of life. Your choice! Schwalbe make life difficult by recycling and tweaking their model names; historic tests typically show the Ultremo edged out by the GP4000s in equivalent conditions, but this often refers to older versions of the Ultremo (or even previous versions of the Ultremo ZX) so it’s unclear how useful these comparisons really are. Also be wary of comparisons which use an arbitrary tyre pressure for all tyres (rather than finding the lowest rolling resistance for each model and using that as the basis for comparison). These may seem like small quibbles, but when the difference between “best” and “worst” in this case is under 1W per wheel, in my mind you either need to be hyper picky or decide that other aspects of these tyres are more important. I know that beauty is in the eye of the beholder, but the GP4000s is a very plain looking tyre, not that this ever stopped me buying many sets of them! The Ultremo is much more bold aesthetically and, for me, screams performance in a way that the GP4000s doesn’t. Although the jury’s still out for me on the longevity of Schwalbe’s Ultremo ZX, it’s hard to ignore Continental’s track record of resilience with the GP4000s. On the other hand, I love the feel of the Ultremo ZX – the silky ride over rough ground, the confidence in corners, the feeling that you’re giving nothing away. 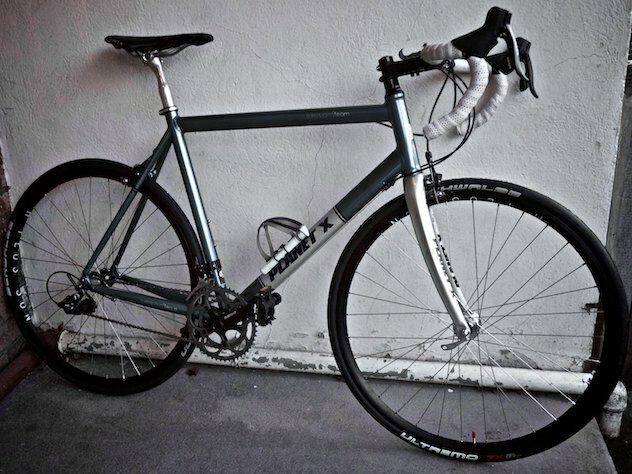 In the end it’s a split decision from me: if all my tyres were stolen and I had to start over, I’d be buying the Ultremo ZX for a big day in the saddle but sticking with the GP4000s for high-mileage purposes, like training. Cop out conclusion? Maybe…. but one thing’s for sure: you can’t lose with either of these great performers! Schwalbe Ultremo ZX: Chain Reaction have a 33% discount while Wiggle are doing 29% off. I agree with all of the above, however I’ve been disappointed by the longevity of the Ultremos. I find the sidewalls start to cut and crack long before the main rubber wears out. 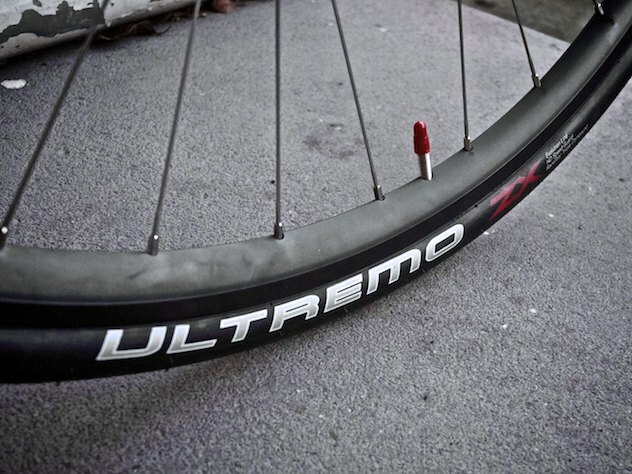 Let us know how you find the Ultremos after you’ve put some more mileage on them..
Just bought a carbon wheelset. Speed/grip/puncture more important than cost/lifespan and been using conti 4 season 23c over the winter. Wanted something light for 100 mile sportifs. Sold me on 25c and Ultremo! I’ve now done over 600km on them and I think they’re still looking as-new, but I haven’t done a proper examination. When I get around to this I’ll post a follow-up article with pics, and update it as they wear. I’ll second Simon’s comments regarding sidewall life on the Ultremo. I’ve got a rear tire with a 5mm cut in the sidewall (clean through). I haven’t yet been able to bring myself to tossing a otherwise good tire, so it got patched and then I glued the cut externally to keep it from spreading. I never had issues like this with the GP’st. All that said, new wheels are on their way and I see yet another set of White ZX’s in my future. Conti needs to step up and restyle the tire. I got my first Etape du Tour puncture last year using the Ultremos. After 9 puncture-free editions on 4000s. Hi, useful articles on tyres! I’ve got some Ultremo ZXs and found the puncture resistance to be quite poor, such that I’ve stopped using them for commuting. Great race tyres though! Update-I kept the Ultremos in reserve and recently put one on the rear of my commuting bike. 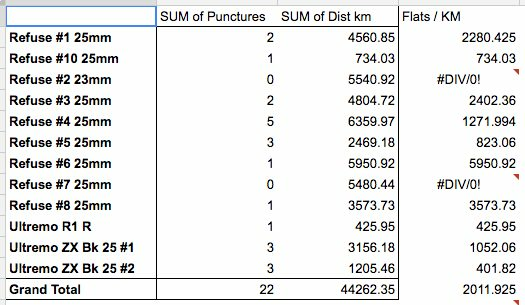 Result: a nice puncture last week! I should junk them but, being tight, am going to use them up and put up with a few punctures. To be even-handed, I had a puncture today on a almost new Conti GP4000 but it was in absolutely filthy conditions in the Surrey Legs of Steel (on the country’s worst roads as any Surrey rider will know).